Actually…you can say “yes” if that is your choice (I guess…) but get out and vote. Not only is it critical to have your opinion heard but we, in San Pedro and Caye Caulker, need to let the central Belize government know that it matters, REALLY matters, to all of the residents on this island. That this is one of the MOST important issues for island residents. We need to protect our barrier reef. 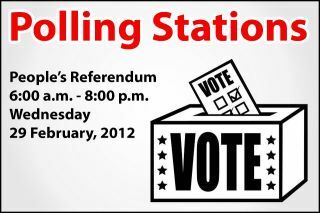 You only need your voters ID card, your ID card and you can vote in the polling stations. 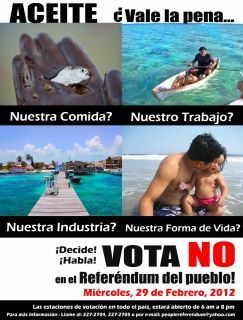 You DO NOT need to be registered in San Pedro. YOU CAN BE ANY REGISTERED VOTER IN BELIZE. The polling station in San Pedro will be at Central Park. This is even important for non-voters to understand. Encourage your co-workers, employees, friends, parents and neighbors who are voters to GET TO THE POLLS on Wednesday, March 29th. 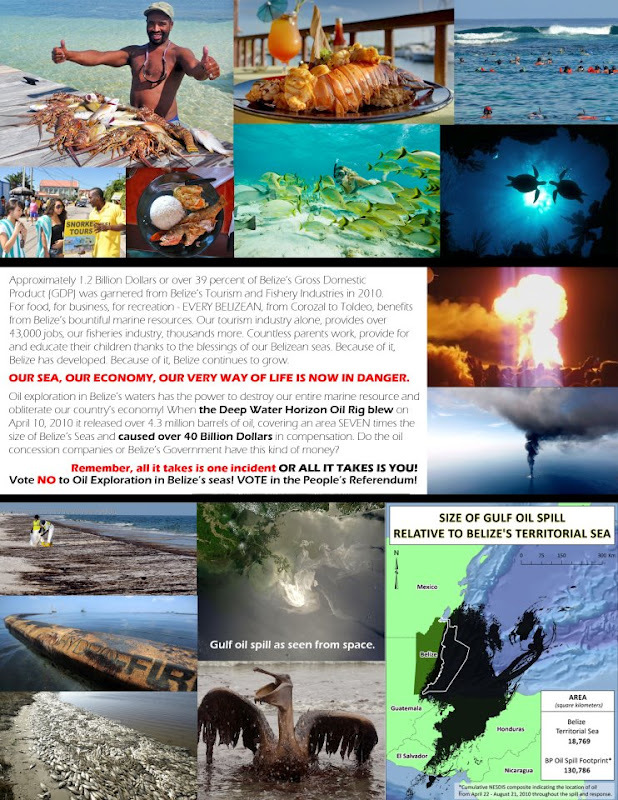 Here are the flyers put out by Oceana, the world wide organization dedicated to saving our oceans. Let’s get 90-100% of voters OUT THERE! For more information about the referendum or if you want to volunteer to mobilize voters in your area, contact [email protected] or call 227-2704 or 05. Without proper evaluation, forecasting and contingency planning, drilling and blasting will damage the environment. It’s something that the public should take care not to happen if it will be near their community, unless they don’t care to lose their homes and their health.